Sometimes, introducing a new phonics sound can feel like getting a square peg in a round hole...amirite? And getting first graders to apply those newly taught sounds in their writing is....yeah, the headache of Winter time in first grade! 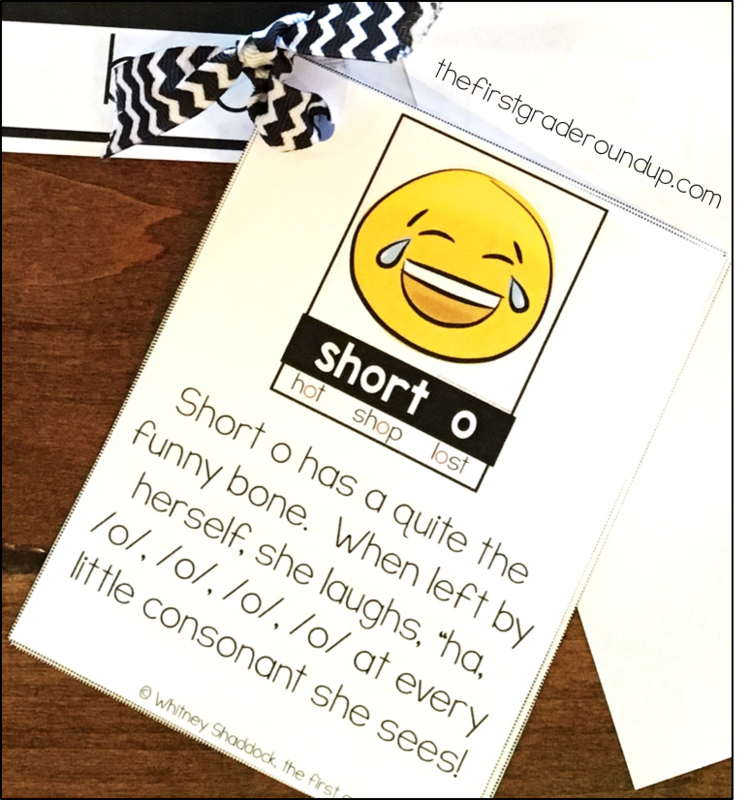 So, anytime I can attach phonics rules to an engaging story is a win for me! For many years, I've used stories I've heard, retold and made up to attach to phonics sounds. It gives those letters life and helps my first graders tune in to my mini-lesson on our focus sound and remember those sounds when it comes to writing. 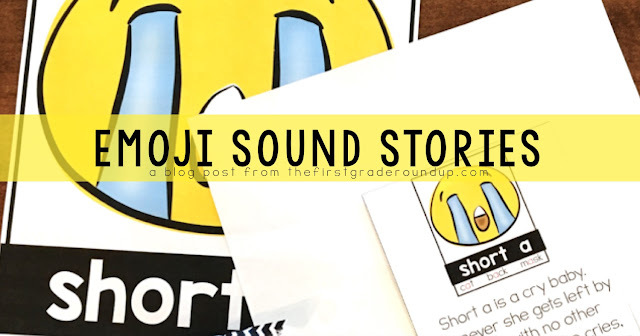 Recently, I started adding emojis to my sound stories with my tutoring kiddos and it's been a HUGE hit! I've already blogged about my daily and weekly phonics routine, but today let's peek into how I introduce new phonics sounds with emoji cards! Before I started using Emoji Sound Stories, I prepped all of my materials. Honestly, the prep is super easy and takes SO much less time than making anchor charts from scratch every year like I used to do! The Emoji Sound Charts for students are ready to print and laminate. 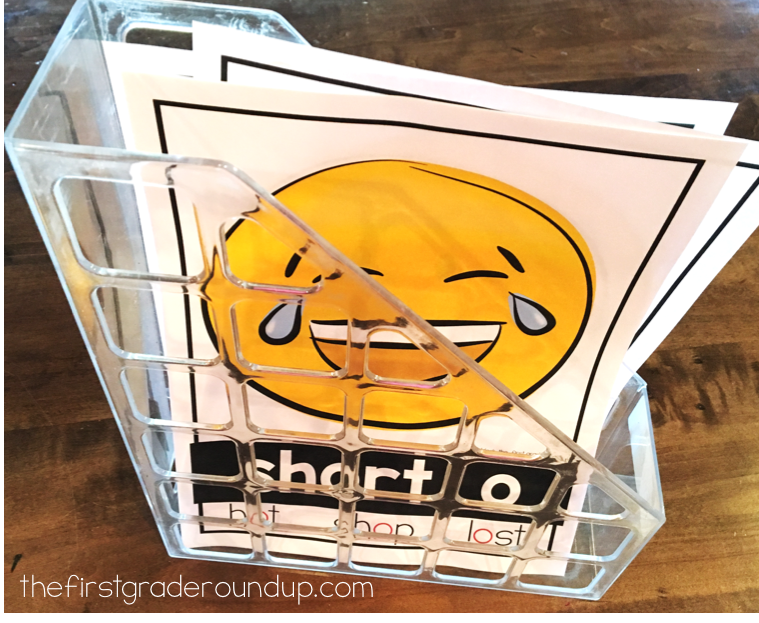 I print one for each student to keep in their book boxes for independent reading time. 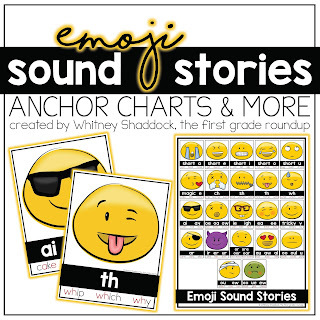 Then, I print the Emoji Anchor Charts and the sound stories. 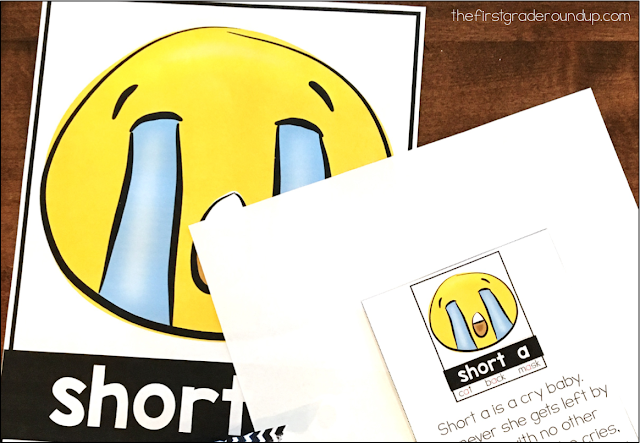 I glue the sound story to the back of each anchor chart. 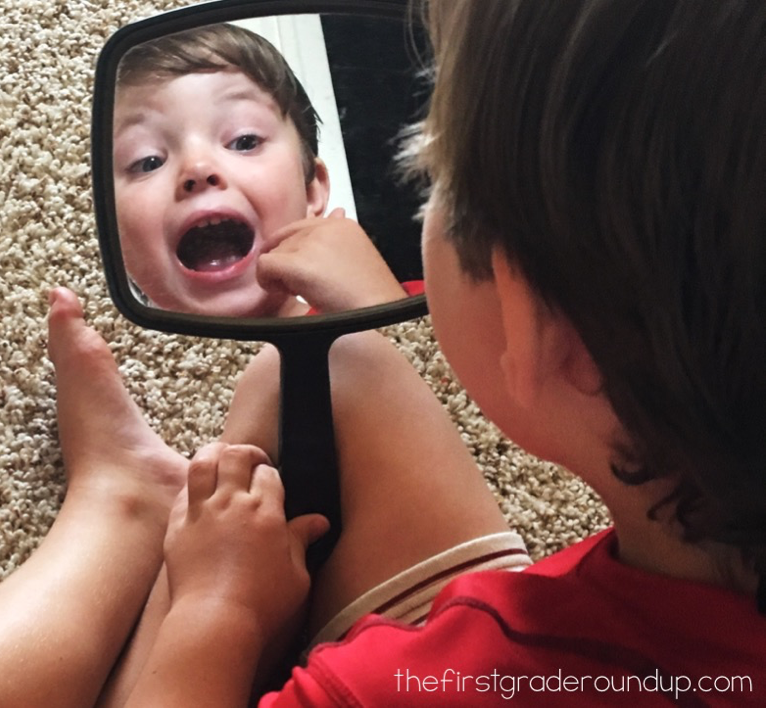 This makes it easy for me when I introduce the new sound--the story is right there for me to refer to as I hold up the chart for the kids to see! I also print an extra set of sound stories to keep on a ring at my Guided Reading table. When it's time to introduce our new sound, I just pull the anchor chart from my storage box and tell the story. This is a VERY short lesson, especially since I embed this into my Interactive Phonics Lessons. Instead of using the youtube video link to intro the sound, we use our Emoji Sound Story. After I read the story, we read the 3 sample words on the anchor chart with the focus sound. Then, we brainstorm other words that have our focus sound and write them together. There is more that we do with our sounds together during our Interactive Phonics Lesson and you can read about that here. But our Emoji Sound Stories get used again during our independent reading time. Students warm up with the Emoji Sound Charts before reading some familiar reading in their book boxes. 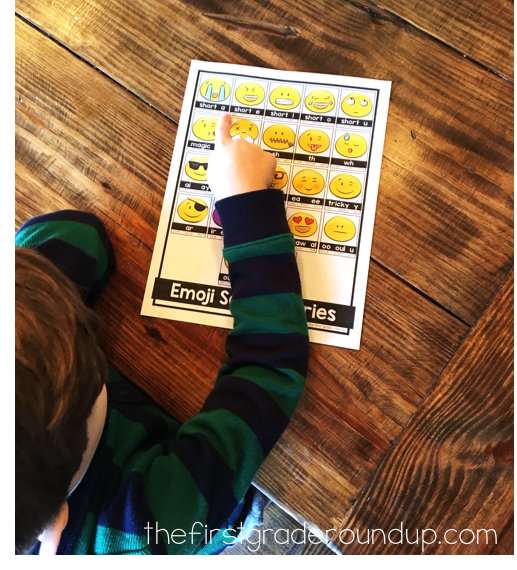 If we use our Emoji Sound Charts as a warm up before Guided Reading, I like to pass out mirrors while we practice our new focus sounds so that kids can watch their mouths try to match the Emoji faces! 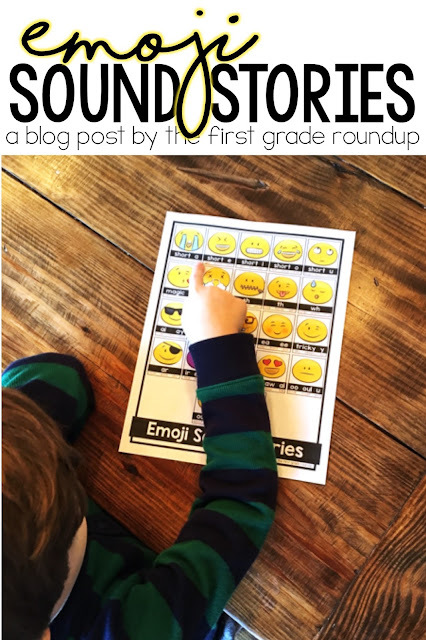 You can find all the materials for Emoji Sound Stories here! And if you are interested in my Interactive Phonics Units, you can find the year long bundle here!